Guys, Love Bargain Bazaar, a gadget store here in Davao City offer this Samsung N150 for as low as PhP 14,500 for their anniversary promo. If you like the offer, please check the contact details below. Now with regards to netbook, Samsung model remains competitive in the tech market with respected styles and reasonable prices that will fit your needs. 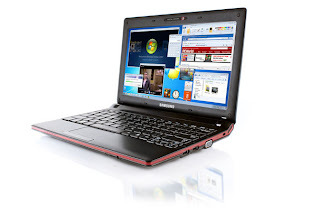 The Samsung N150 offers comes with all key netbook features without the high price tag. The durable casing reduces the risk of scratches and fingerprints, ensuring it stays stylish. Featuring an LED anti-reflective display, it lets users enjoy their favorite movies and photos even in direct sunlight. Samsung N150 is powered by a 1.66GHz Intel Atom N450 processors and runs Windows 7 Starter Edition. It packs 1GB of RAM, a 250 hard drive, and 3 in 1 card reader. Samsung N150 is integrated with advanced communications technologies, including 802.11bgn wireless and 3G modem (HSPA and WiMAX), to provide high-speed access to the Internet anytime and anywhere. Samsung N150 is another option for portability that promise to deliver good computing experience with such a good price offer.